February 16, 2016 – For the first time astronomers were able to analyse the atmosphere of an exoplanet in the class known as super-Earths. 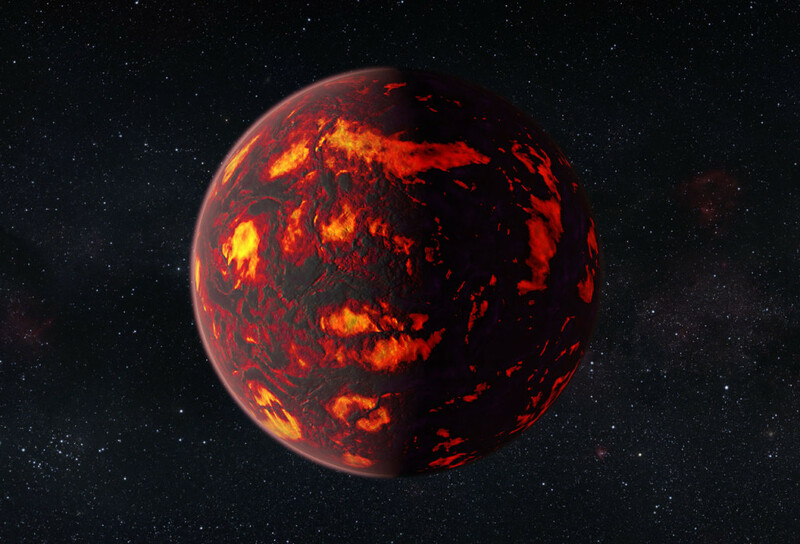 Using data gathered with the NASA/ESA Hubble Space Telescope and new analysis techniques, the exoplanet 55 Cancri e is revealed to have a dry atmosphere without any indications of water vapor. The results, to be published in the Astrophysical Journal, indicate that the atmosphere consists mainly of hydrogen and helium. Using observations made with the Wide Field Camera 3 (WFC3) on board the NASA/ESA Hubble Space Telescope, the scientists were able to analyse the atmosphere of this exoplanet. 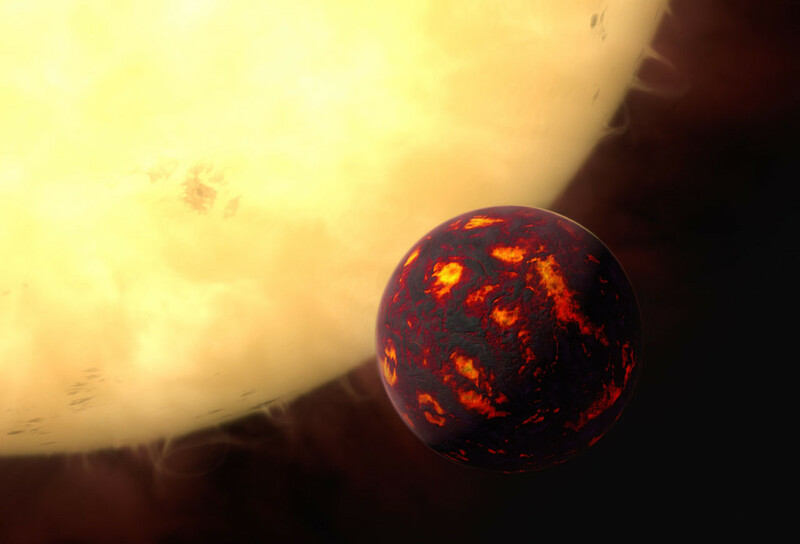 This makes it the first detection of gases in the atmosphere of a super-Earth. The results allowed the team to examine the atmosphere of 55 Cancri e in detail and revealed the presence of hydrogen and helium, but no water vapor. These results were only made possible by exploiting a newly-developed processing technique. Wide Field Camera 3 was built by Ball Aerospace & Technologies Corp. in Boulder, Colorado.